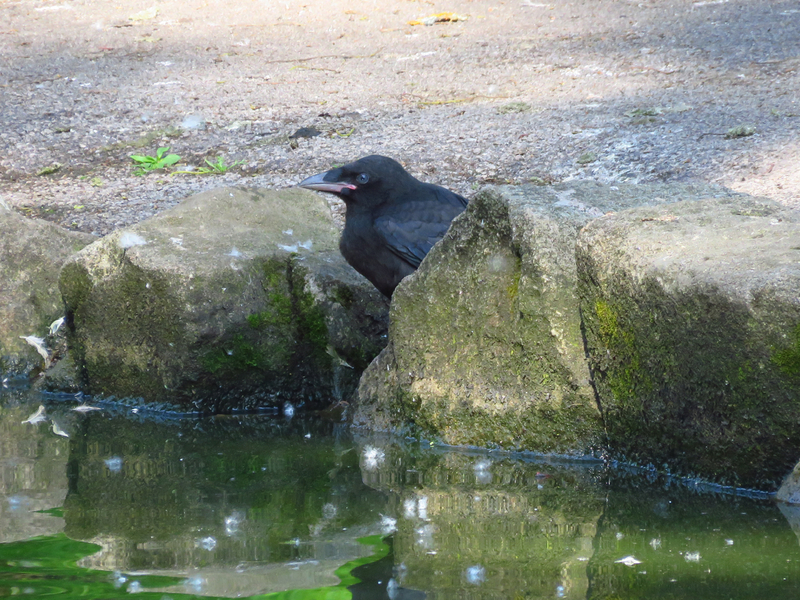 The Carrion Crow pair in the local park have fledged two young. One of them sat on a carpet of poplar fluff, looking sleepy, and unable to fly very high. It looked like it had flown the nest a bit early. It was very tame, and allowed me to crouch by it and take his portrait. You can see that the chest and head feathers lack the metallic lustre of the adult plumage and the young's eyes are blue. The wing feathers are more metallic. A parent was nearby, furiously chasing a squirrel away. 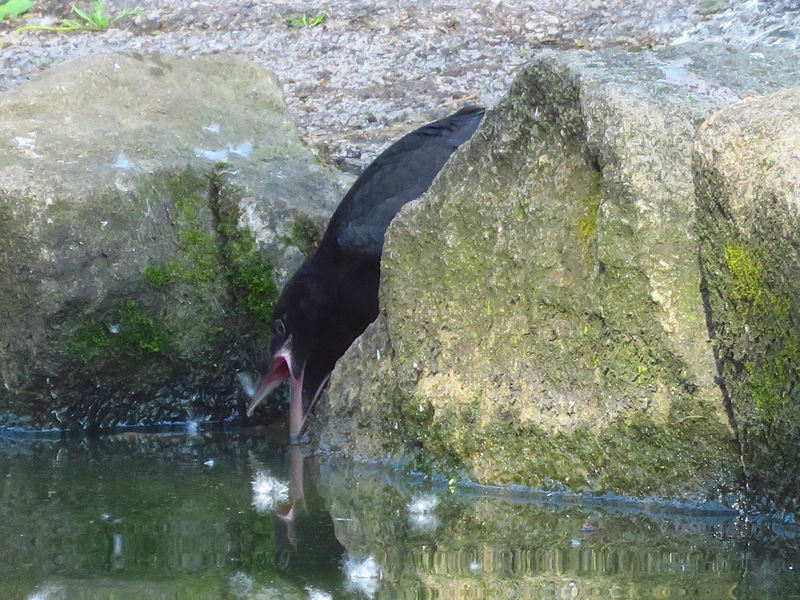 The sibling was much more active, and was intrigued by water, it opened it's bill to the water, like it was testing it or finding out what the best way of drinking was. Such a difference in character at a very early age. 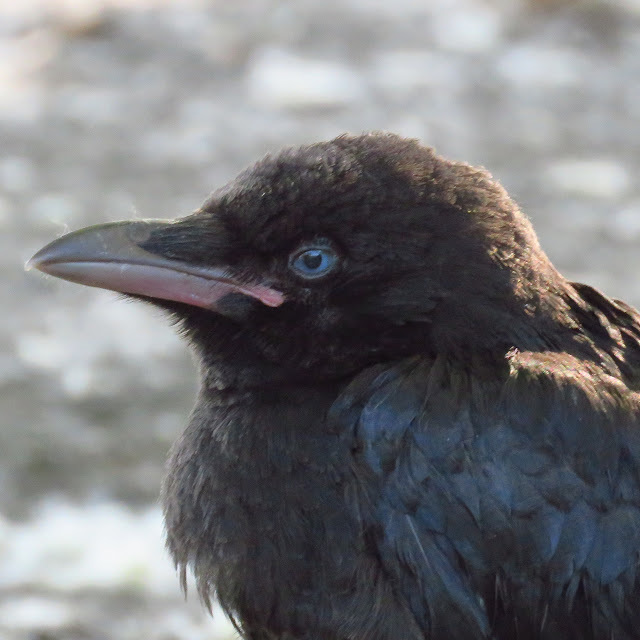 Crows are endlessly fascinating.